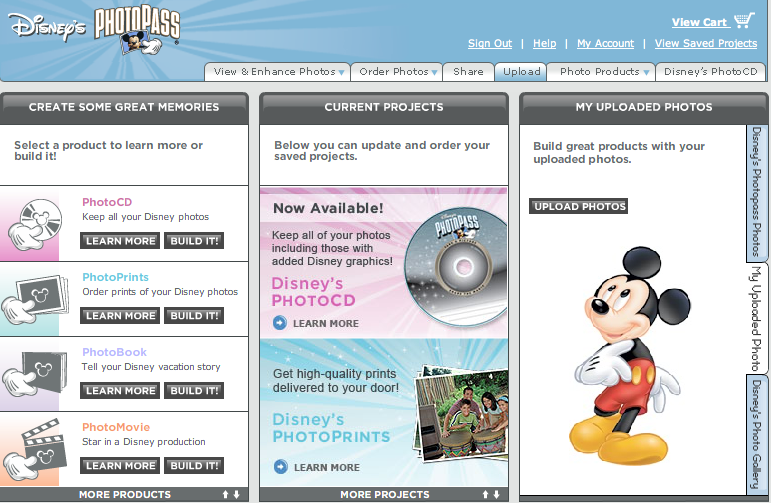 In a previous post I wrote about how I was unable to access the DisneyPhotoPass.com site. I have since been able to get in and try the site out. The service has some neat features I haven’t yet found in the other photography lab sites I have studied. 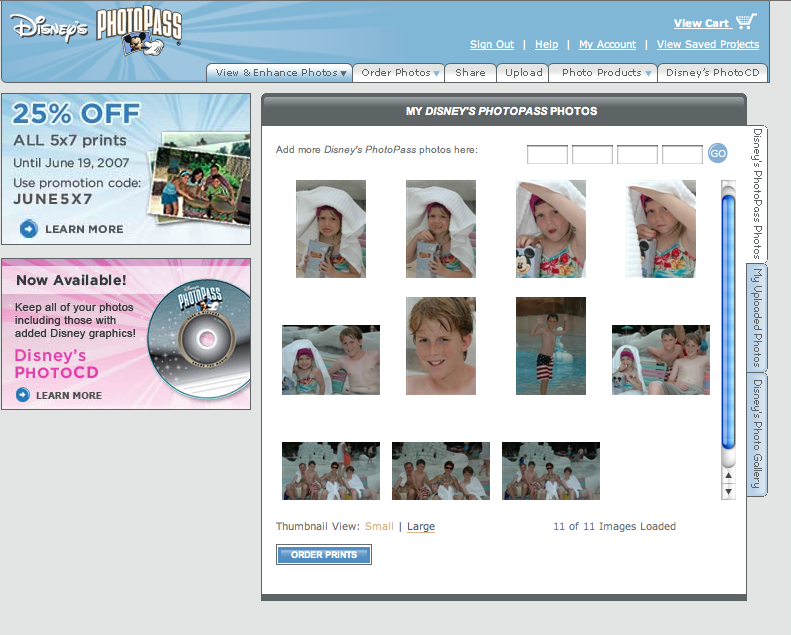 Although the site still runs a little slow and doesn’t work with my Mac + Firefox, the Disney Photo Pass site appears to be best of breed in the photo marketing industry. Their most promising feature is the PhotoMovie. You can drag and drop up to one hundred photos into their movie builder and “star” along side a cast of Disney characters. This entry was posted on June 21, 2007 at 10:04 pm and is filed under Disney Photo Pass, DisneyPhotoPass.com, Photo Marketing, PhotoMovie. You can follow any responses to this entry through the RSS 2.0 feed. You can leave a response, or trackback from your own site.